Hey everyone! Sorry I haven't posted in so long! My friend wasn't able to fix my computer, so now I have to take it back to Best Buy to see what they can do for me. But today I want to show you what I got in this month's Birchbox!! This month's theme is Sparkle and Shine or Holiday 2013. They changed the packaging of the box slightly this month, which was a nice touch. 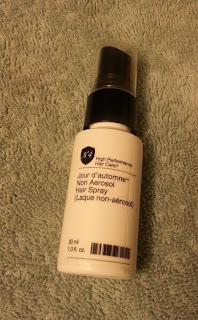 Sample Size (0.05 fl oz?)-$1.33? I had to estimate the cost of this sample since I couldn't find a size on the vial. 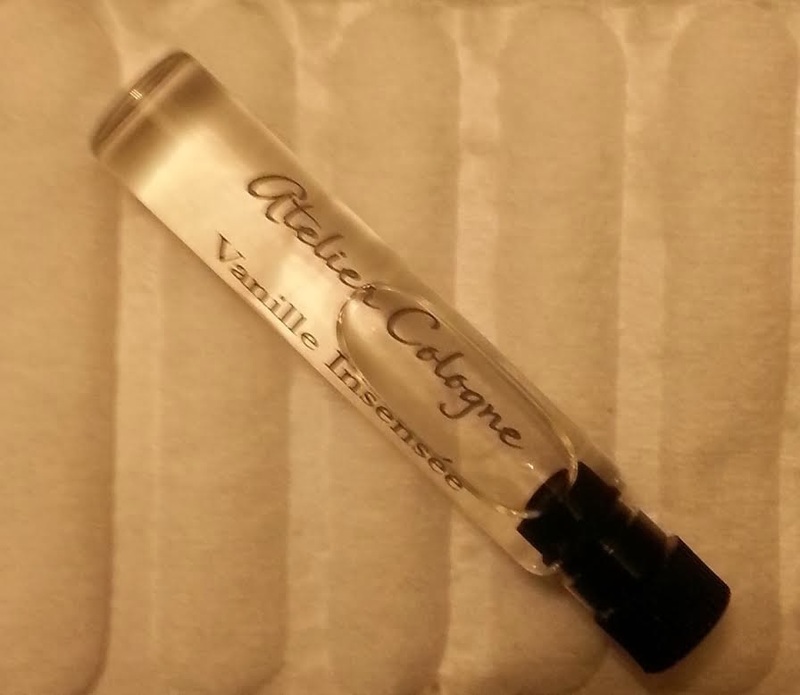 I went with 0.05 since that seems to be the typical size for fragrance samples. I thought this had a nice scent, but I don't like it enough to purchase it. I definitely prefer the Viva La Juicy Noir sample I got in last month's box! Deluxe Size (30 ml)-$4.50 Value! 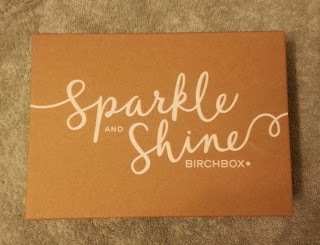 This was my favorite product in this month's box! This hairspray works well-it doesn't leave your hair crunchy at all! Plus it has a nice smell to it and the packaging is better for the environment!! This product claims to be a primer, moisturizer, and makeup remover all in one. 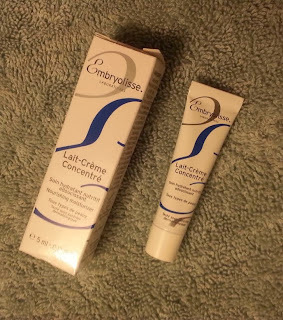 According to the Cosmetics Cop this just has a basic formula not worth the hype because many moisturizers containing it's ingredients also work as a primer and makeup remover. Deluxe Size (0.07 oz)-$9.69 Value! I think this lip pencil is pretty cute-they even called this small version Lil' Lip! But I would have been more excited if they sent me a different color since I just received a red lip crayon in my Ipsy bag last month. I won't swatch this for you guys because I'll save it for when I'm done using my other pencil. I loved getting this in my box-who doesn't like getting chocolate? 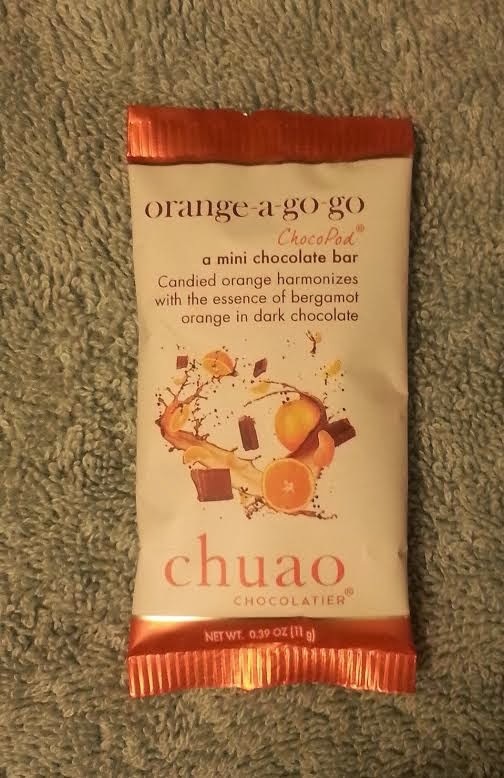 But orange chocolate isn't my favorite, so I would go for a different flavor if I were to ever purchase it in the future. I thought this box was okay, but I was expecting a lot more for the holidays. This was by far my lowest valued box and the least exciting. If you would like to subscribe, please sign up using my referral link here!